Short tapered compression spring used on coin reject button in many later-model Bally and Williams games. Works with reject button # 27-1037. Measures approx. 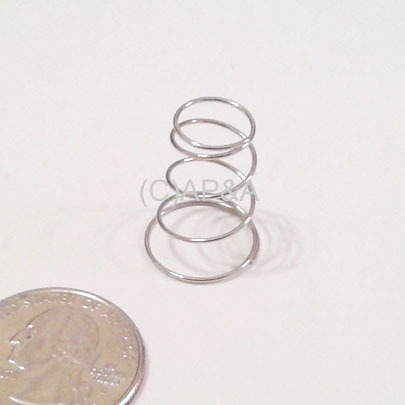 1-inch length, 5/8-inch large diameter, 3/8-inch small diameter. Not all games listed below might use the brand of door that uses this spring, so please verify size/fit before ordering.